Wade and I officially crave these sandwiches. No doubt, you will too! 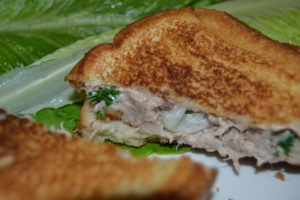 I’ve always made a traditional tuna salad sandwich, but I was the only one in the house that really enjoyed them. That meant I would need to prepare something different for everyone else which is not very efficient in regards to time and resources. 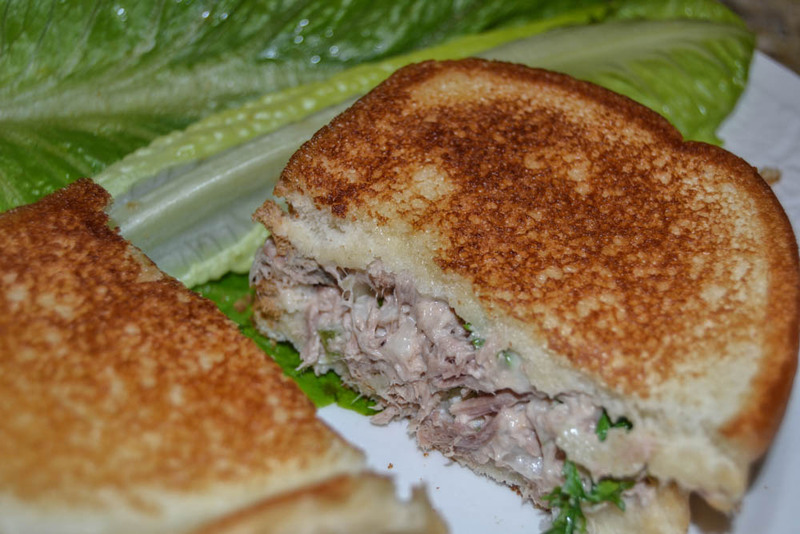 With a new recipe, now we savor this tuna melt “sammich” together. Enjoy the melt-y, fresh goodness! 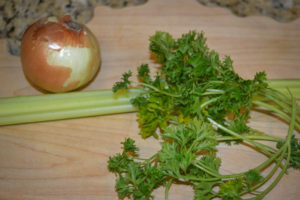 Start by chopping celery, parsley, and onion. 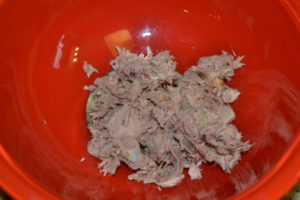 Remember to chop in small, bite size pieces as these will be mixed in with the tuna for the sandwich. Drain tuna well. I prefer “Chunk Light Tuna” in water. 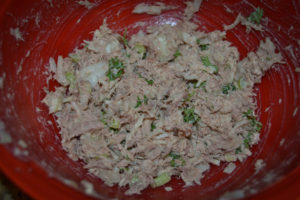 Mix fresh veggies/herbs with tuna. Add mayo, cheese, and S&P. 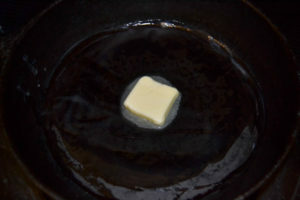 Melt butter in warm skillet. Spread softened butter onto one side of bread. Scoop some tuna salad onto the bread. 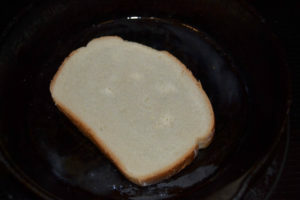 Cover with another piece of buttered bread and flip sandwich when it has browned on one side. Cheese should be melted when both sides of sandwich are toasted. YUM! This tuna salad is great served on crackers or in large Romaine lettuce cups as a gluten-free alternative to bread. 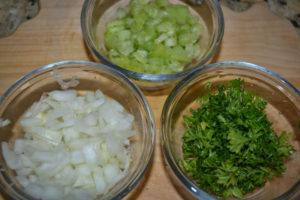 Chop celery, onion, and parsley. 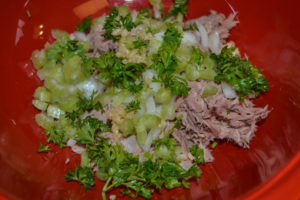 Combine tuna with celery, onion, parsley, and garlic. Add mayonnaise, cheese, and salt and pepper to taste. Combine well. Melt better in a warm skillet. Spread softened butter onto bread. 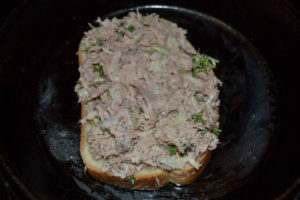 Place in skillet to begin toasting and add about 3-4 Tbs of tuna mixture to the bread. When bread slice has toasted, add another slice of bread with a buttered top to the sandwich and flip onto buttered side. When sandwich has fully toasted, cheese should be melted. Enjoy!